If you own a small business, you know that every dollar can be important to the success of your business. One way to improve your odds for success is to make sure that you are taking all the tax deductions you’re entitled to. Especially if you’re just starting your business, you will want to claim every possible deduction. 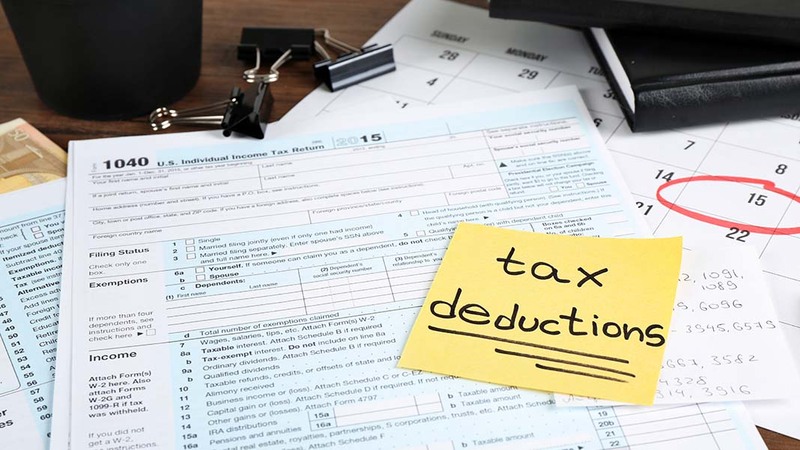 Here are commonly overlooked deductions to consider when you file your business tax forms. Note: You cannot claim any startup deductions if your startup costs were more than $55,000. In that case, you would amortize the deductions over the next 15 years. Whether you do consulting from your house, run a service business from a building you own, or sell merchandise from a rented storefront, you’ll certainly incur operational expenses to keep your small business up and running. You can deduct these expenses from your business income to arrive at adjusted gross income for tax purposes. No matter if it’s rent or office supplies, utilities or interest on bank loans, manufacturing costs or professional services, you can claim these as deductions on your business taxes. There are thousands of potential operational costs—all fully deductible on your return. Make sure that you document each and every one so that you can later write them off when you file your return with the IRS. Many of these deductions must be prorated to the portion of the expense that corresponds to the square footage of your office space in relationship to your entire home. This can be true even if it’s an apartment you are renting. To deduct any of these expenses, the costs have to be directly associated with operating your business. In addition to using the percentage method for the home office deduction, there is an alternative flat-rate deduction option. You can deduct $5 per square foot of home office space for up to 300 square feet, resulting in a maximum write-off of $1,500 per year. This write-off option is much easier to claim as it requires far less documentation of your expenses. Deducting expenses related to your vehicle is an option for taxpayers who use one for business purposes. You must use your vehicle to travel between worksites to qualify for this write-off. The vehicle deduction is based on either miles driven or actual expenses. The standard mileage rate for each year may vary: it’s 54.5 cents per mile for tax year 2018. If you use the actual expenses deduction option, you can include gas, vehicle maintenance, and insurance in your deduction. It’s important to consider both options to calculate which one will give you the largest possible tax deduction. If you are a business owner and have a self-insured medical reimbursement plan, you may be able to deduct up to 100% of any out-of-pocket medical expenses you incur. Additionally, medical costs for the spouses and dependents of business owners are also generally deductible. Another perk to being a small business owner involves the ability to deduct certain meals and entertainment. The Tax Cuts and Jobs Act on 2017, however, scaled back a number of deductions for business-related entertainment expenses, like tickets to games and other events. But you can still deduct 50 percent of meals with a current or potential business customer, client, consultant, or similar business contact. Such activities must be ordinary, necessary, and directly related to your business. Be sure to keep your receipts and record all of the names of the people you were with and what specific business was done during a meal or activity. Meanwhile, the IRS is still working to define its guidance on this deduction. Various retirement plans for small business owners come with tax benefits and deduction opportunities. A payroll-deduction IRA gives small business owners the flexibility of choosing how much they contribute to an employee’s IRA when taking payroll deductions. The SIMPLE IRA Retirement Plan can be formally arranged during the following year, while tax deductions on contributions to the plan can be applied to the current tax year. Other options include a self-employed 401(k) retirement plan or a SEP-IRA, which allow small business owners to make contributions as both an employer and an employee within a business. These plans can also allow for larger contributions in many cases, which can help small business owners maximize their contributions and tax savings. Learn more about retirement plans for small business owners here. It pays to consult a tax accountant about getting the most from your business tax deductions. Why leave money on the table that’s within your full right to claim?